18 Things FREE + Yours Truly on The Morning Blend!!! I’m posting a day early this week to let you know that the first book in my trilogy, 18 THINGS, is completely FREE on Kindle until midnight. As if that weren’t enough excitement, I was featured on a local talk show called The Morning Blend today. Check out the clip below. Also, my blog tour is in full swing. In case you’re interested, you can check out my true life story on instalove over at the Paisley Reader (posted just in time for Valentine’s Day . . . hope everyone had a lovely weekend). And on Monday, the awesome Gwen Gardner had me share a paranormal scene from my latest novel, 18 Thoughts. Tomorrow, I’ll be featured on Writerly Wednesday, hosted by the fabulous Crystal Collier . . . see if you can guess my lie to win the ebooks of my trilogy! Today you’re in for a treat because Gwen Gardner is here to guest post, woot woot! I first came across Gwen on the blogosphere because we both had our debut into the publishing world around the same time, her with Giving Up the Ghost, and me with 18 Things. I’m pretty sure it was our Ninja Captain that brought us together. If you don’t know Gwen yet (go ahead & slap yourself), allow me to introduce her. Gwen Gardner is a native Californian living in sunny San Diego, where her love of reading and writing led to a BA in English literature. Life is now complete with her husband, two dogs and a daily call from her daughter. Since ghosts feature prominently in her young adult Indigo Eady Paranormal “Cozy” Mystery series, she has a secret desire to meet one face to face – but will run screaming for the hills if she ever does. Gwen adores travel and experiencing the cultures and foods of different countries. She is always up for an adventure and anything involving chocolate – not necessarily in that order. Thanks for hosting me today, Jamie! I know Jamie is a Harry Potter fan and so am I! We’re both still waiting for our owls from Hogwarts with our invitations to attend. Well, Jamie would be one of the professors, for sure. Probably Muggle Studies, because she’s so good at human nature. I’m sure I’d be sorted into Griffindor where I’d excel at Defense Against the Dark Arts. At least, my characters might or might not agree with that. I mean, I get them into dark and dangerous situations, but I get them out again, don’t I? Indigo Eady is a ghost-whispering teen psychic and the protagonist in my Afterlife novella series. 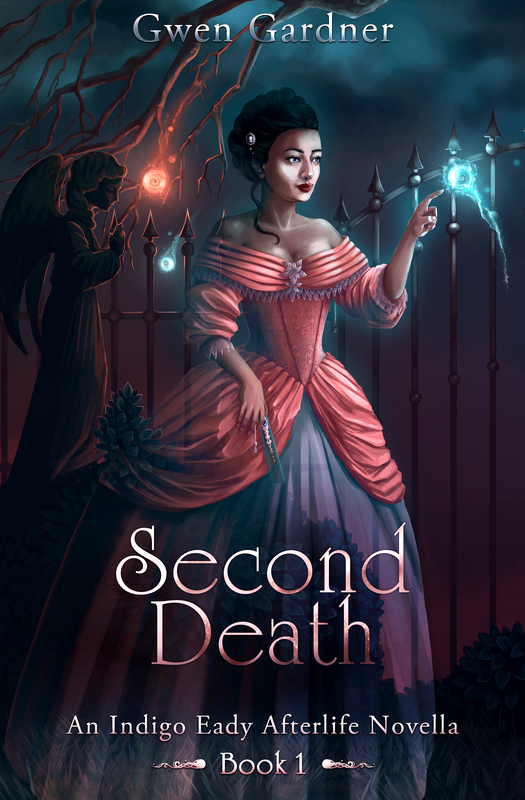 In Second Death (book I), I did sort of have her sucked down into a demon hole. She later compared it to that scene in Harry Potter’s The Prisoner of Azkaban where Harry inadvertently hails the Knight Bus. The Knight Bus rescues witches or wizards in trouble and takes them where they need to go. There’s a scene where Ernie Prang is driving and throws a switch to maneuver between two muggle buses and so the Knight Bus shrinks to about six inches wide, squeezing all on board into a fun-mirror deformed version of themselves. Well, according to Indigo, that’s what it feels like getting sucked down a demon hole. Sort of like being squeezed through the gullet of a snake. Slow, arduous and suffocating. But that’s where the similarity between the Knight Bus and a Demon Hole ends. The Knight Bus is completely dangerous, true. It averages about one accident per week. None of the seats or beds is bolted down and so they slide all over the place. And being squeezed like that can’t be good for the mind or body. But at least they offer beds and hot chocolate! I reminded myself we were still in Gertrude’s Garden. We’d already seen how easy it was to go from one dimension to another without even trying. Yeah, maybe that was it. I should wait right there for Badger and Simon to get back. I folded my arms over my chest. Clamped my teeth together to keep my chin from wobbling. “Yeah, I’m just going to wait right here,” I spoke aloud, continuing to scan the area. “Sounds like a good plan, Indigo,” I answered myself. I glanced left and right. “I’ll just sit and wait,” I mumbled, backing up to the Earl’s headstone and sliding down into a sitting position. I waited and waited. And waited some more. I’ll admit that patience wasn’t my best virtue. I lay on my back, no idea what had just happened, only that I couldn’t breathe. Panic was about to set in when my lungs finally expanded. I sucked in air like a fish gasping for water. Scrambling to my feet, I found myself in a narrow, dusky corridor, lit intermittently by orblight sconces along the walls. The floor and walls were uneven and dirt-packed, with roots protruding, some big, some small. The impression of being deep underground clung to me, like I’d been buried alive. I struggled to control my breathing, which threatened to turn into full-on hyperventilation. You really landed in it this time, Indigo Eady. Under the freaking cemetery! I whimpered, which echoed and dwindled to silence down the corridor. What do you think? Has Indigo forgiven me? Thanks, Gwen! I loved your HP analogy, & this book sounds A*M*A*Z*I*N*G!! Don’t forget to follow Gwen on social media! She’s a hoot!! You can buy her book now on Amazon or iTunes!! Writing Paranormal: Do You Believe What You Write? 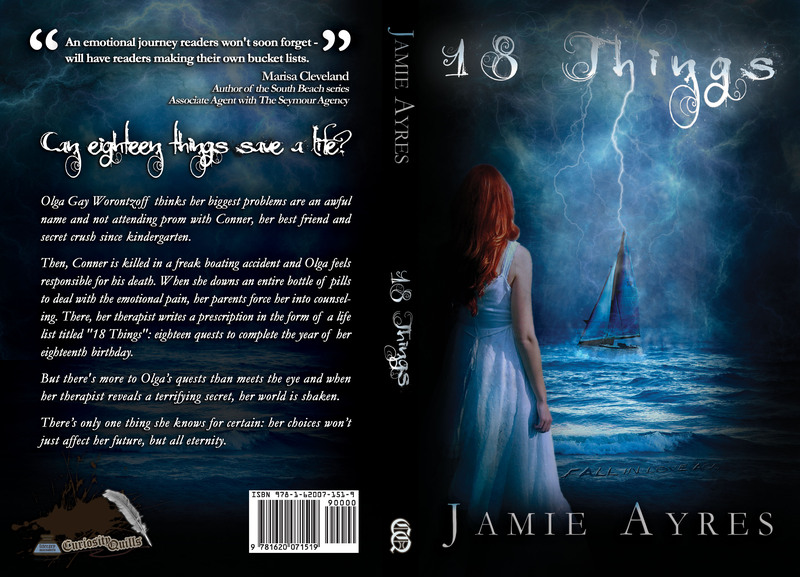 It’s been a whirlwind week since my debut novel, 18 Things, released last Thursday. Terrifying and thrilling all at once! I’ll go into more details on next Wednesday’s post for the IWSG. 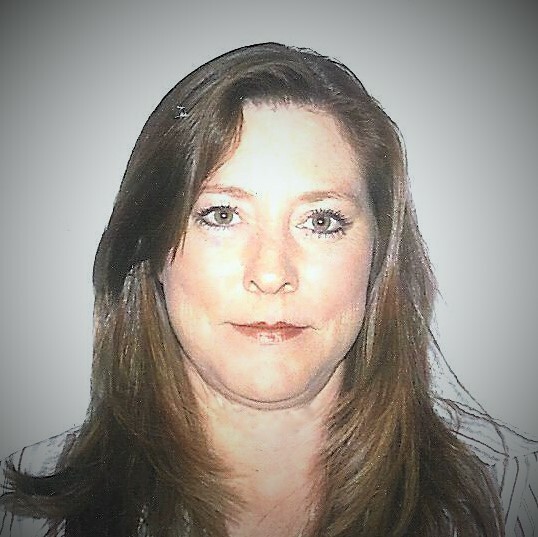 But today, I’m guest blogging at Gwen Gardner’s site, a wonderful YA Fiction Author and half of the Indies 4 Hire business. The topic is Writing Paranormal: Do You Believe What You Write? My post focuses on angels, and I share my personal encounter with one when I was eleven years old. Stop 3: Krystal Wade’s blog (1/24) *This is my wonderful, steadfast editor who talked me off the edge a time or two* I answer the question: What part of me is in Olga? Stop 4: Alex Cavanaugh’s blog (1/25) My super shout-out from the Head Ninja Master! If you’ve read the book, created your bucket lists, and acknowledged the vast empty hole in your heart that is exactly Jamie Ayres shaped, I hope you’ll recommend it to others and share your thoughts about 18 Things on Amazon, Goodreads, or Barnes & Noble *which you’ll find yourself wanting to do—Jedi Mind tricks were included in your purchase, so I left you no choice* The sales have stayed in the top 100 books on Amazon in one category or another (and those categories are a hoot! ), until today *wipes tear* So now it’s up to word of mouth to push it forward. I’m really BLOWN AWAY by your support. Kimberly at Art of Infiltration shared twenty-two books she enjoyed reading last year (or wanted to read this year) with her seventh grade class. She said the kids were excited about three books – Possession by Elana Johnson, CassaStar by Alex Cavanaugh, and 18 Things!!! WOWIE, WOW, WOW!!! Kimberly, can you see my HUGE grin all the way from Florida?